Spiritual and personal growth activities and pastoral care services are available to all denominations. Residents are welcome to spend time in the chapel for weekly worship and communion. We provide a spiritual environment in which people of all faiths are welcome. At The Glenn Minnetonka we have a dedicated, full-time pastoral care team and a beautiful chapel open 24-hours a day for private meditation or quiet reflection. 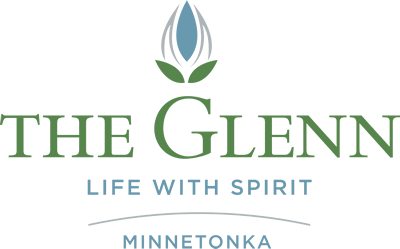 If being a part of a community with strong ties to local faith-based organizations is important to you, The Glenn Minnetonka may be your perfect fit. Our pastoral care team is integral to creating a vibrant and supportive community that provides for the spiritual needs of people of all faiths.